One important realization on the journey from a BDUF approach to an iterative and agile approach is that design is never done. Designs evolve. The waterfall emphasis has been to unnaturally try to control software physics by imposing requirements freezes and burdensome change control. The process of developing software is part science and part creative. You are applying science toward the invention of something. Design is capturing knowledge both about what the end user need is, and one solution to that need. Constrained Memory is the reality for many embedded developers. Running tests in the development system won’t suffer the same memory constraints found in the target. Here are a few things to help TDD in constrained memory situations. 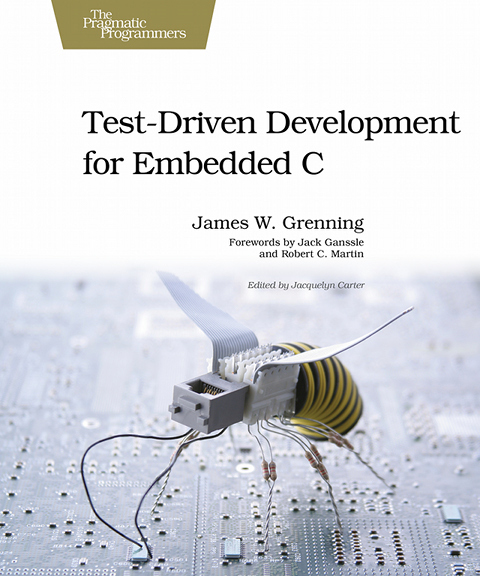 Why Test Driven Development for Embedded? Embedded software has all the challenges of “regular” software, like poor quality and unreliable schedules. It is just software with some additional challenges. The additional challenges do not disqualify TDD for embedded. TDD even helps with some of those uniquely embedded challenges. Prior to the Deep Agile conference, I received a number of questions about getting people to change, to try new things. Change is hard. People need to be motivated to change. “If it ain’t broke, don’t fix it” they say. But there is always some things that are broken. First there needs to be awareness/acceptance that there are problems to solve. Do a retrospective of the last release. Find the problems that people are passionate about. Try not have blame session. Build a logic chain from the problem to some solution you think will help. Get people to sign up to try the new approach for a month or two, not the rest of their lives. Iterations give a great opportunity for this kind of experimentation. Read on for some specific questions, and my answers. Don’t Let Embedded Tool Chain Slow You Down. Let’s say you were an embedded systems developer, and you were planning on attending a conference like the Deep Agile Embedded. What questions would you hope you could get answers for at the conference? What if you already knew it all but were sending your boss, co-worker, or CEO who needed to learn more, what would you want them to hear about? Would you want to do some hands on Test Driven Development? The Microsoft Zune 30G had a well known crash to bring in the new year. Here is the snippet of code that is the alleged culprit, from one of MS’s suppliers (Freescale). Adding tests to legacy C or C++ code can be a challenge. Code not designed to be tested won’t naturally be testable. Dependencies will be unmanaged and invisible. Getting that first test written will hurt, a lot. Don’t despair! The first test is the hardest, but subsequent tests are much easier. Knowing what to do and what to expect, when you start adding tests to your legacy code, can ease the journey. This article will give you an idea of what to expect when getting that first bit of C or C++ into the test harness.